Support » Guides » Playing your first song. 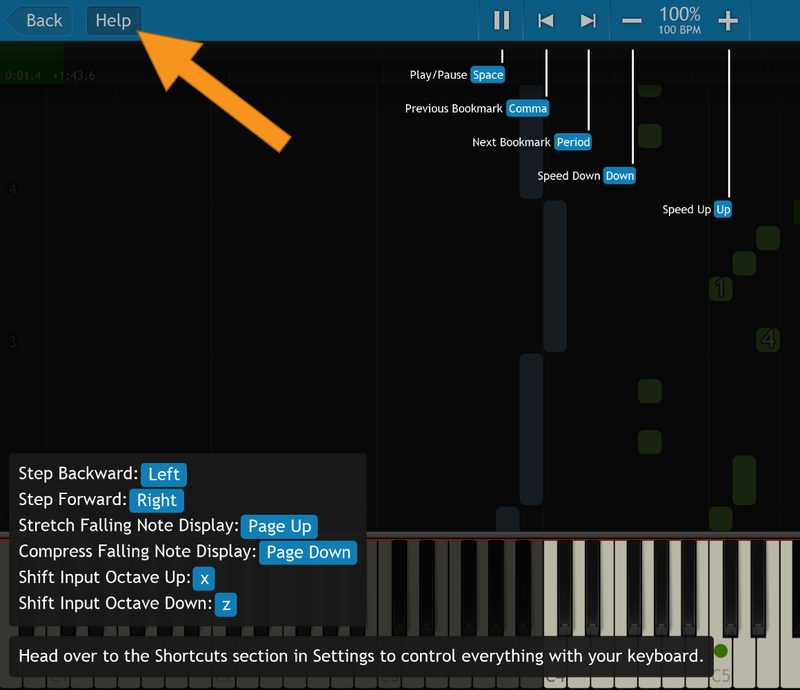 This guide shows you how to get started playing your first song in Synthesia. 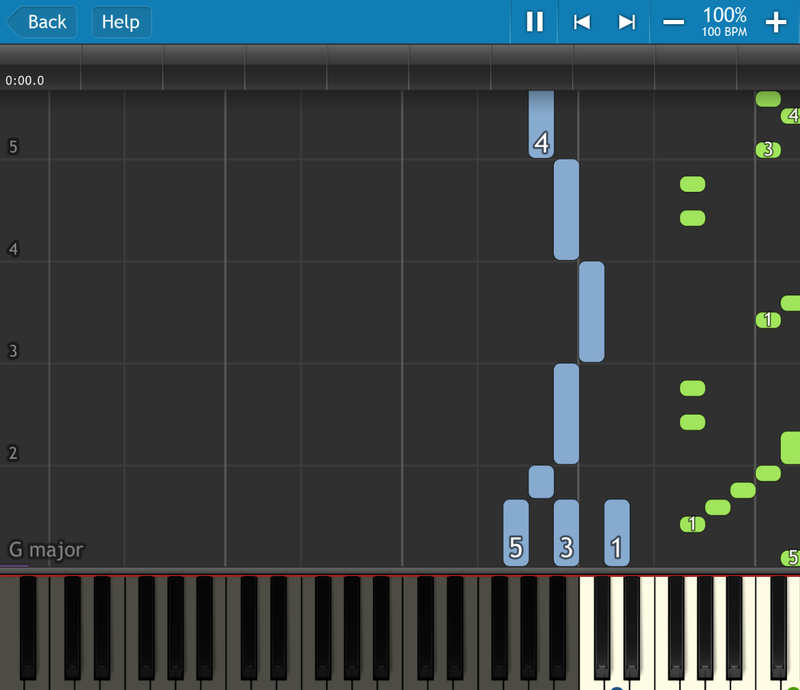 Synthesia shows music notes as falling blocks! Usually the left hand is blue and the right hand is green. When a block has a number, use that finger to play it. 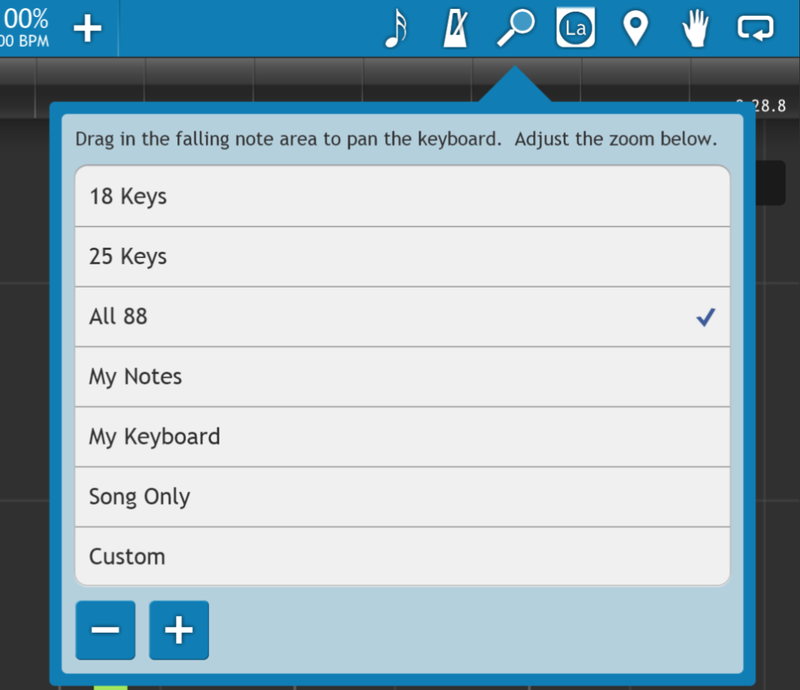 Play notes just as the block touches the top of the on-screen keyboard. 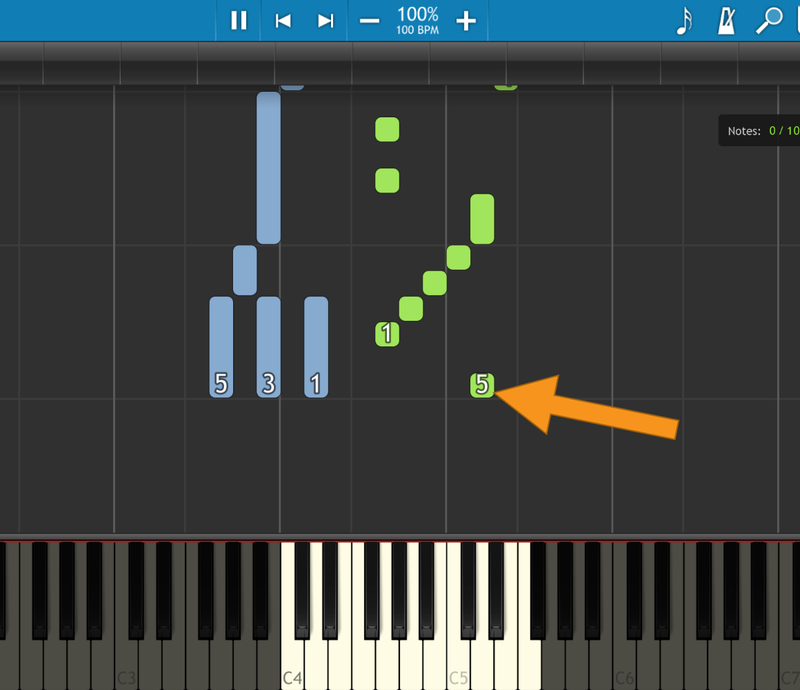 If you're playing in Melody Practice mode, colored dots will appear on the keys you should play. 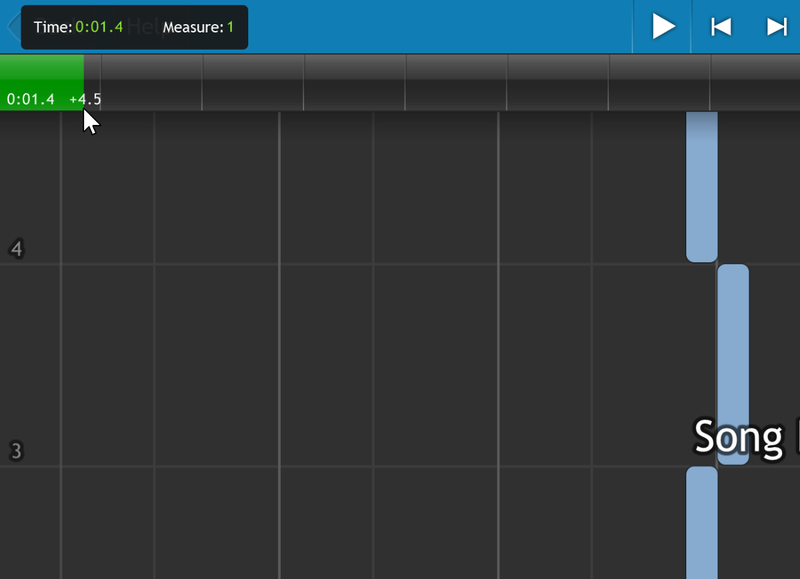 Clicking or tapping the timeline (located near the top of the screen) lets you jump around in the song. This is handy if want to practice a particular portion of a song without playing the entire song through every time. 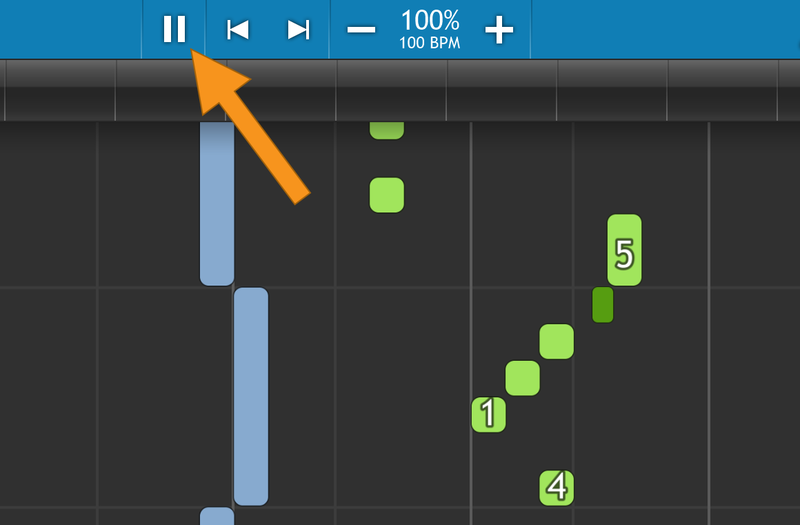 You can find the Pause button on the control bar, just to the left of the BPM indicator. 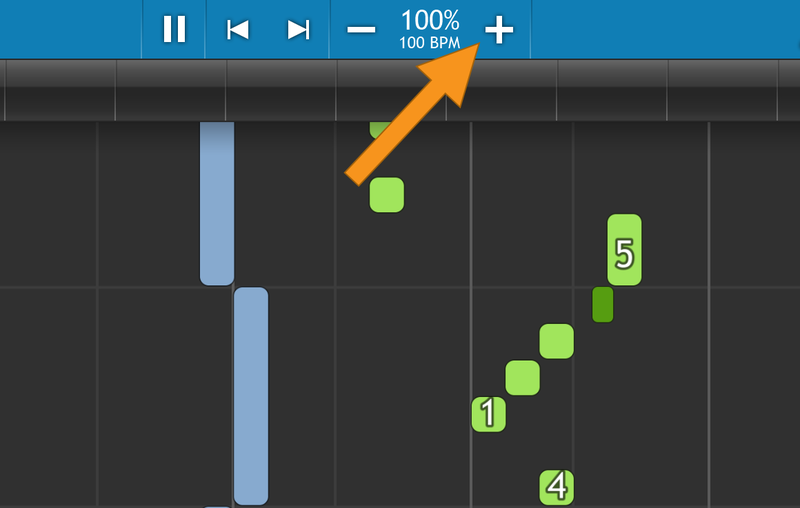 Select it to toggle between pausing and resuming the song. Control the song speed with the + and - buttons. Always play the song slowly enough that you're comfortable with how quickly notes arrive at the keyboard. It's always best to develop the muscle memory for playing correctly, instead of trying to play too fast and making mistakes! The Help button at the top left shows what all the other controls do. It also shows the shortcuts to activate each control more quickly. Feel free to explore the rest of the buttons on the toolbar. Each mode includes more instructions to follow once activated. The magnifying glass icon at the top-right adjusts your keyboard zoom. Choose "Song Only" to zoom in to only the keys used by the song. The - and + buttons at the bottom of the menu zoom in and out incrementally for an individualized zoom. On a touchscreen it's even easier: pinch horizontally to quickly and precisely control the zoom. 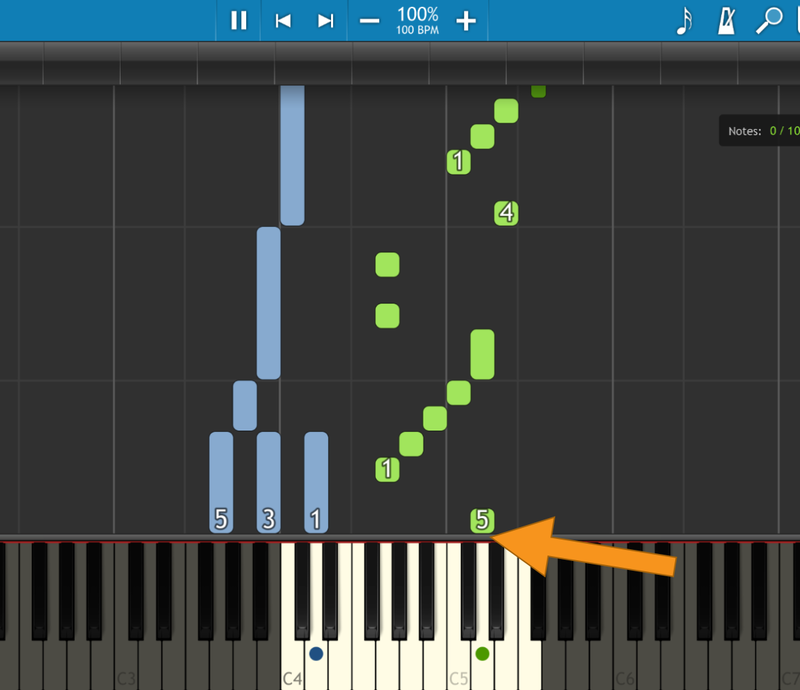 Use the Pg Up and Pg Down keys on your typing keyboard (or pinch vertically on your touchscreen) to adjust how much of the song is visible at a time. Showing more of the song might be helpful to get a better idea what's coming up, but be careful not to make the notes too small.